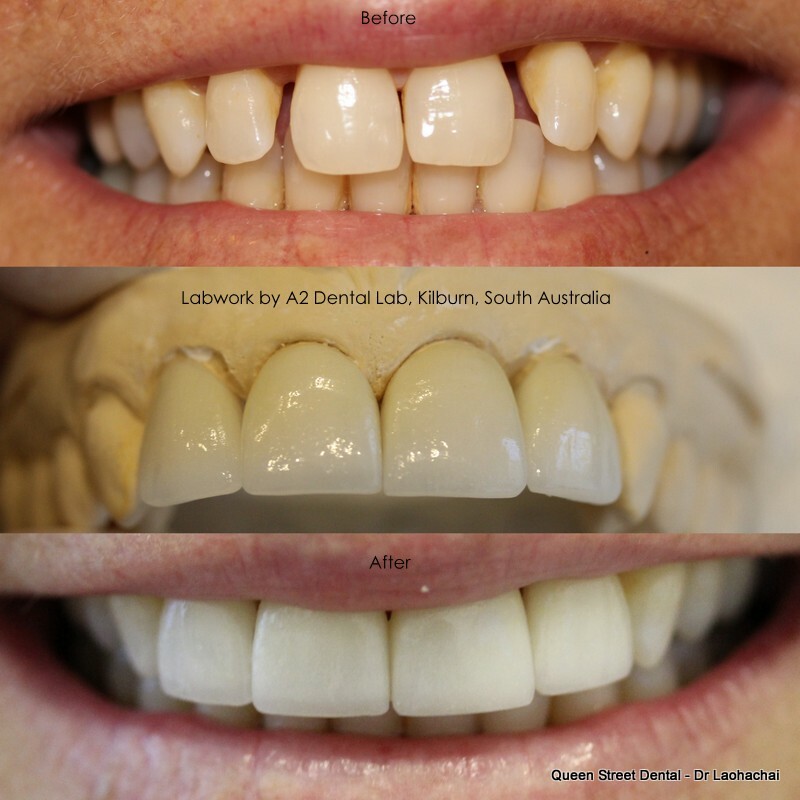 All Before and After images have been taken at Queen Street Dental and are of work completed at Queen Street Dental. 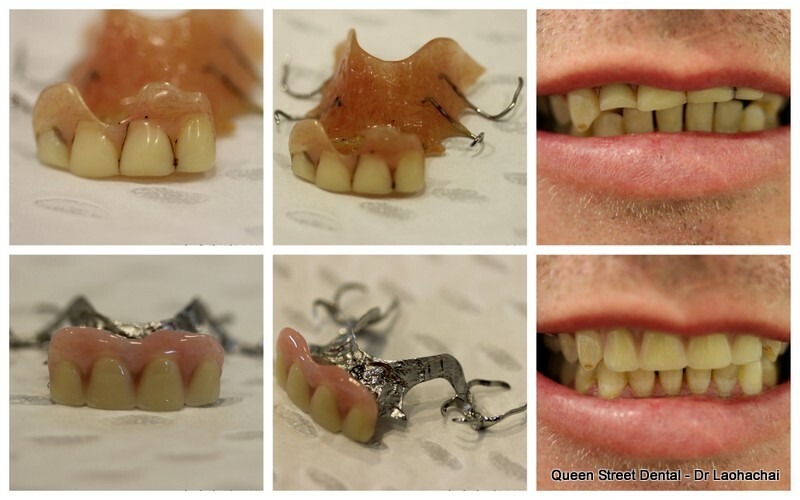 Permision has been obtained for the use of all images. 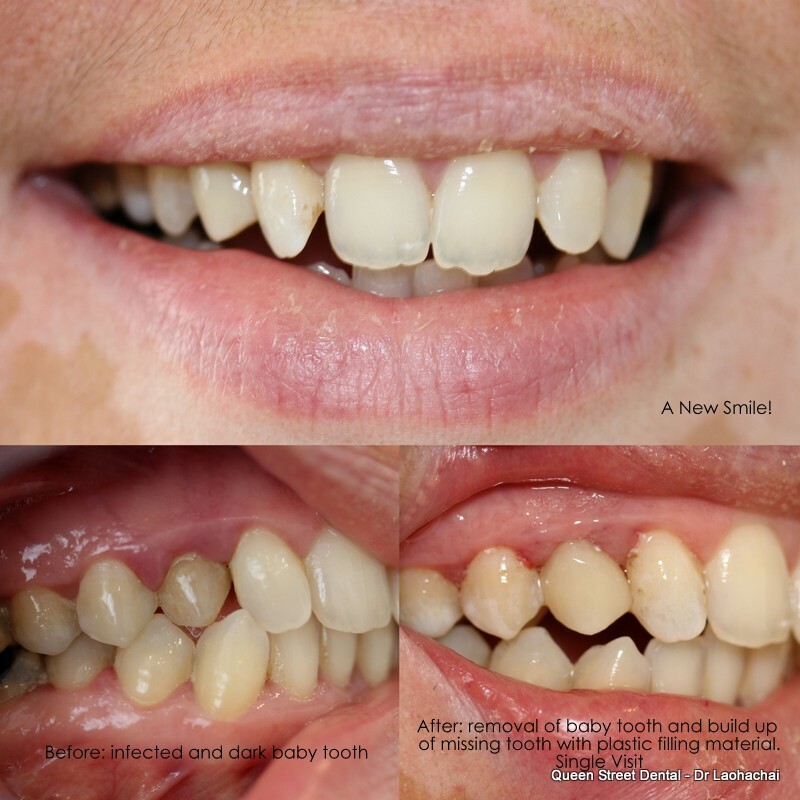 An affordable, mid-term solution for a single missing tooth. 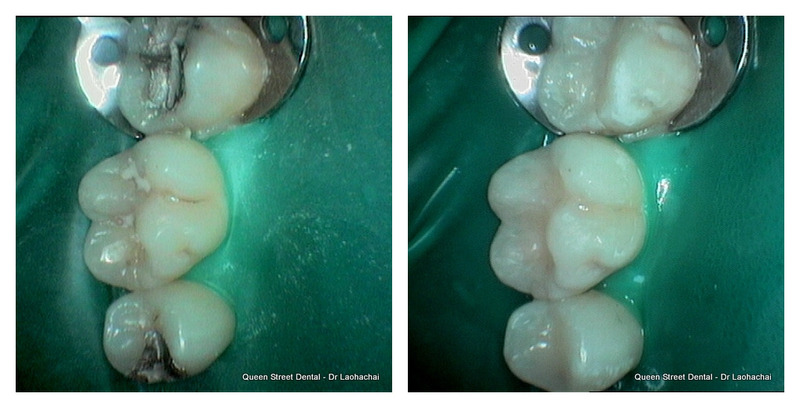 In this case, the adult upper right canine never came through and the baby tooth was retined. 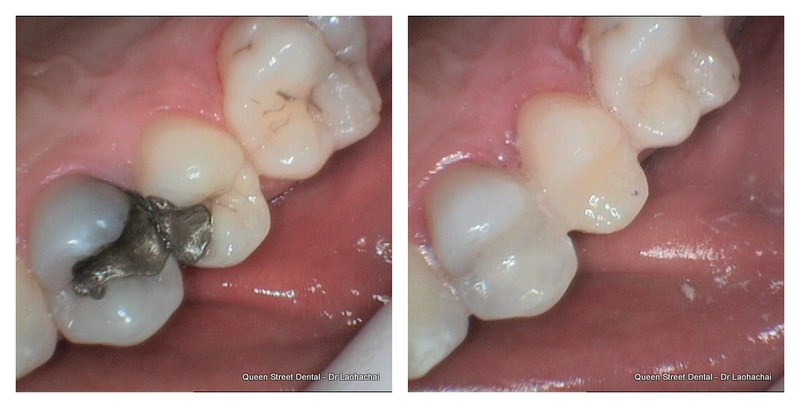 The baby tooth then got infected and required removal - note the very inflammed gums and the sunken in position of the tooth. 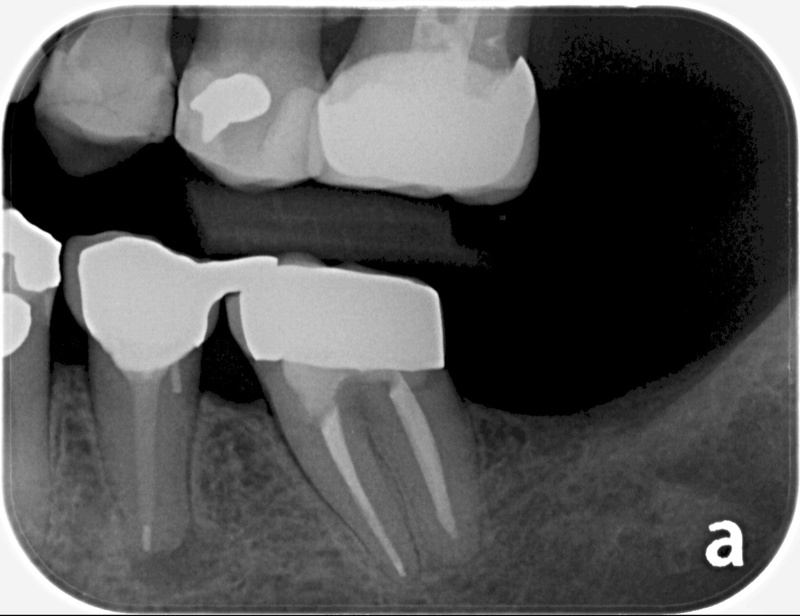 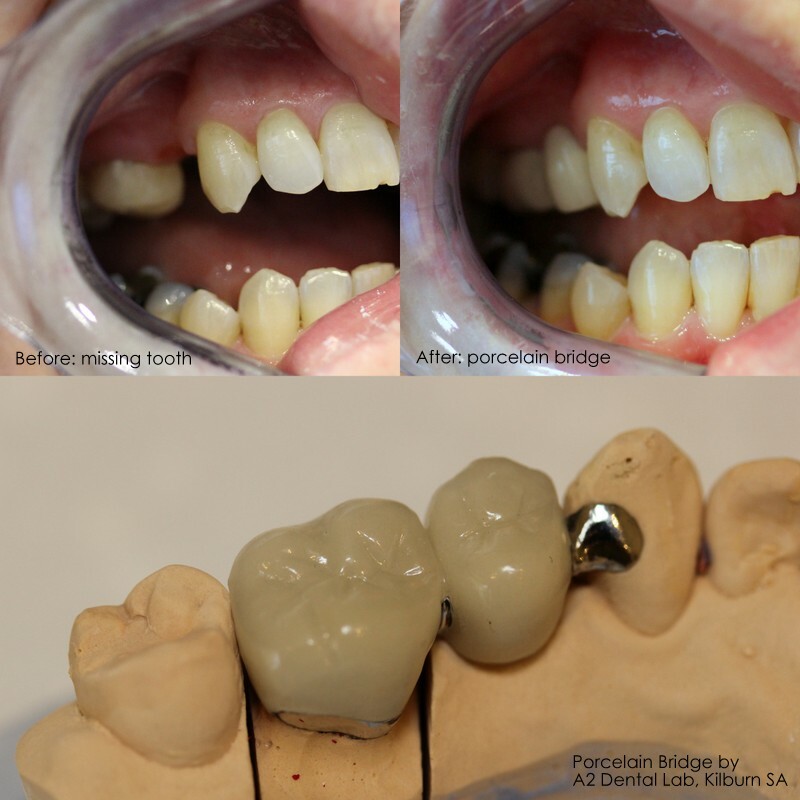 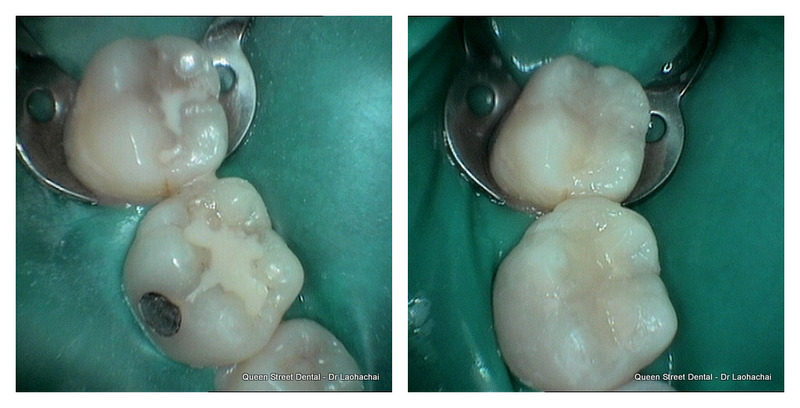 By doing a direct bridge in a single appointment, the patient did not have to go without a tooth at all. 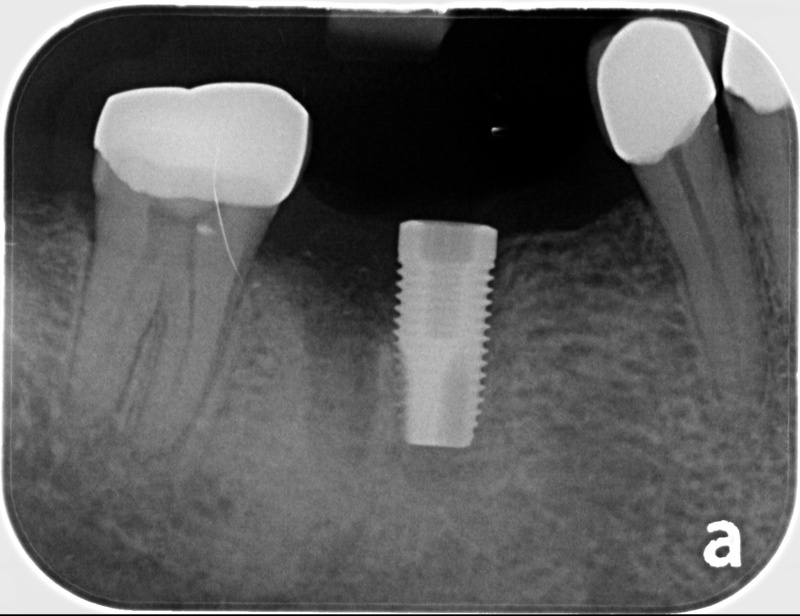 Perfect implant placement by our talented dentist Dr Han Deng. 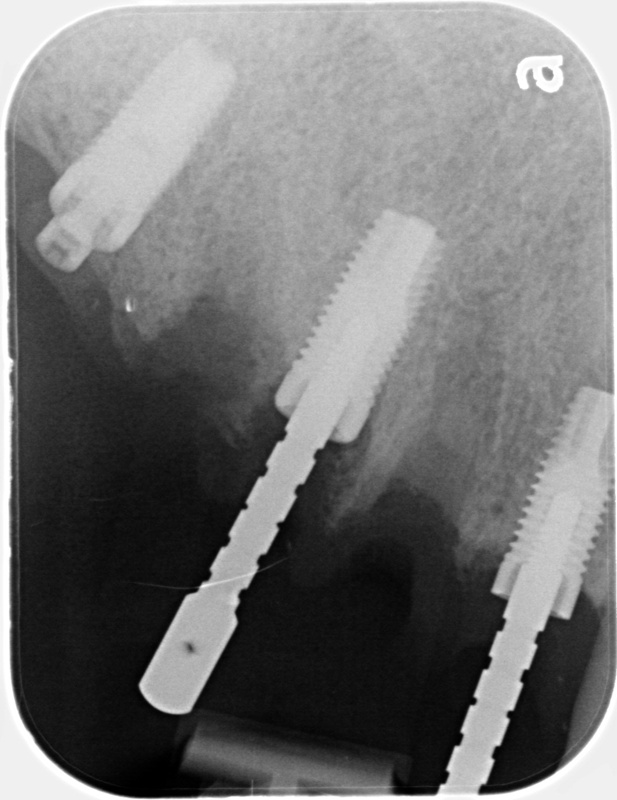 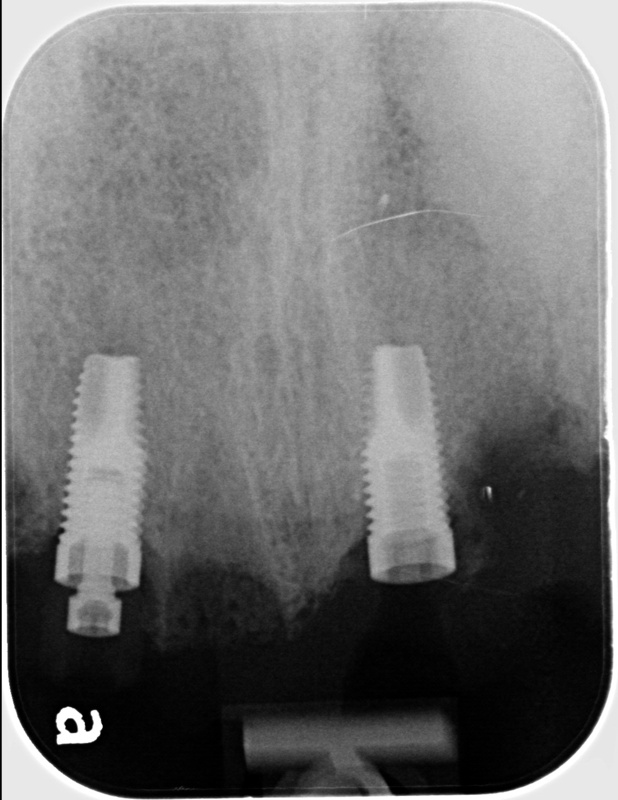 This implant was placed when the roots were removed - same appointment. 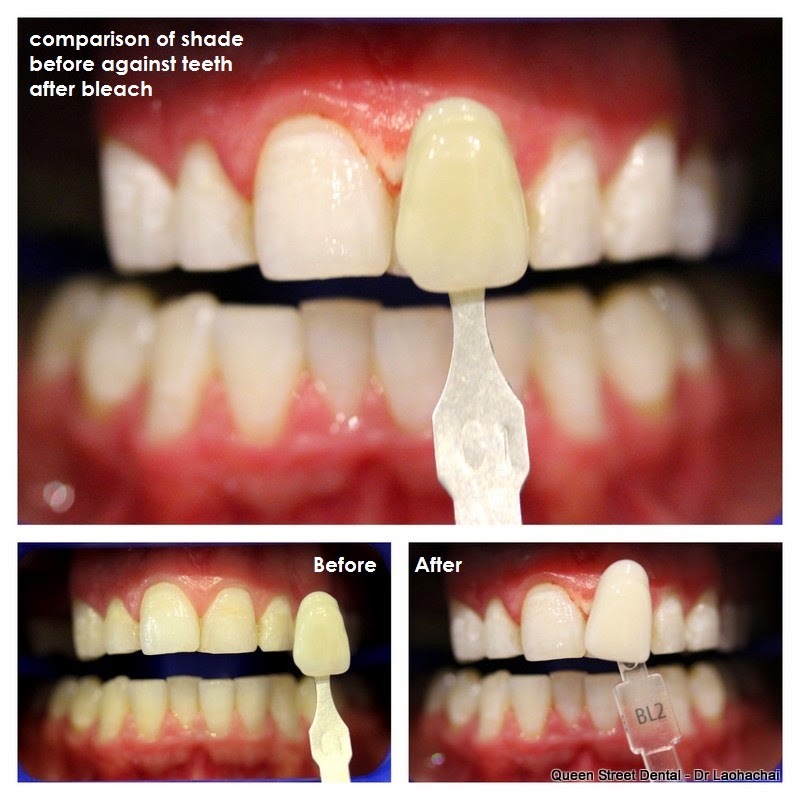 - less discomfort than an extraction! 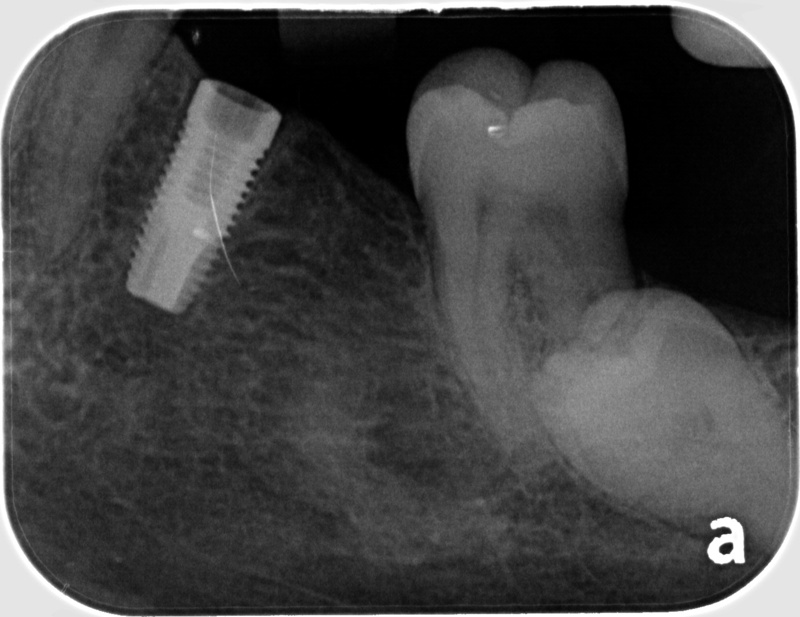 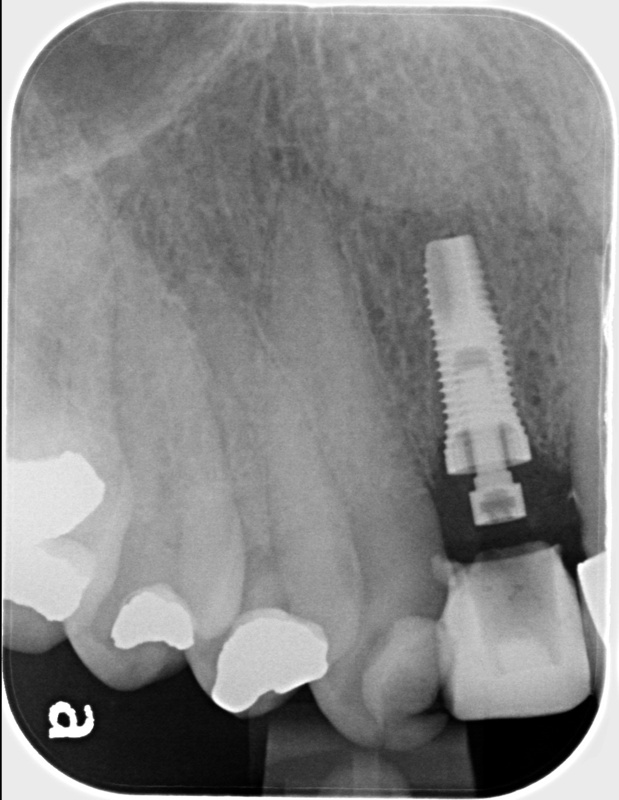 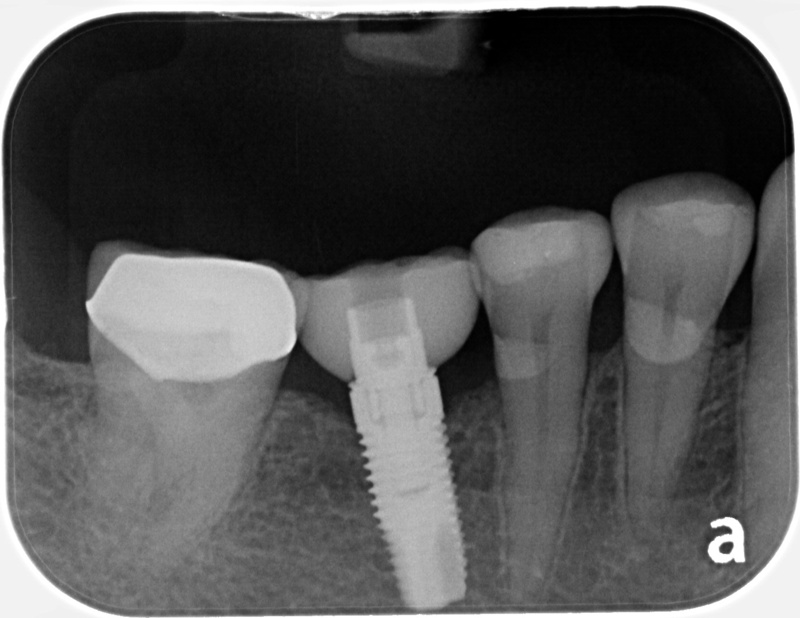 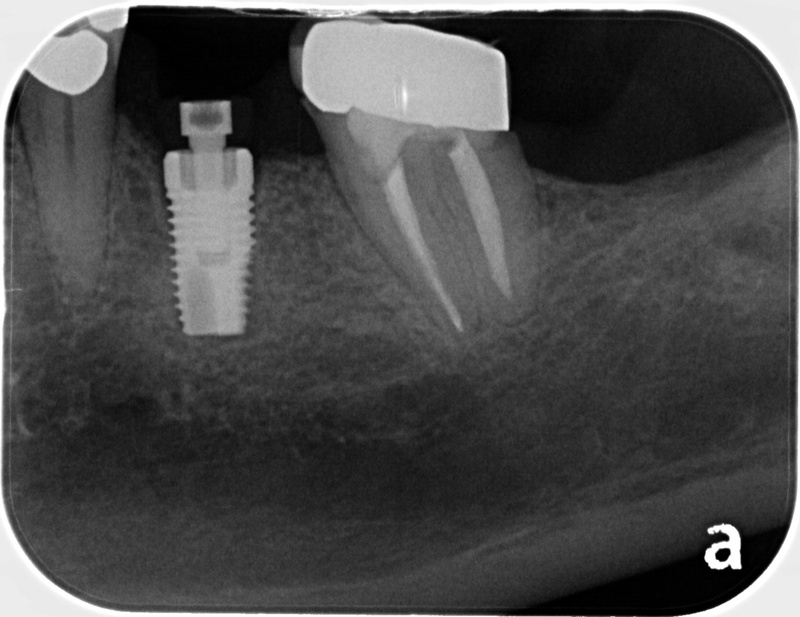 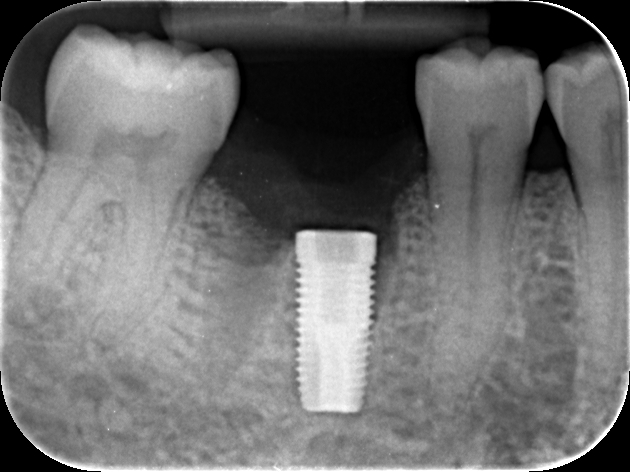 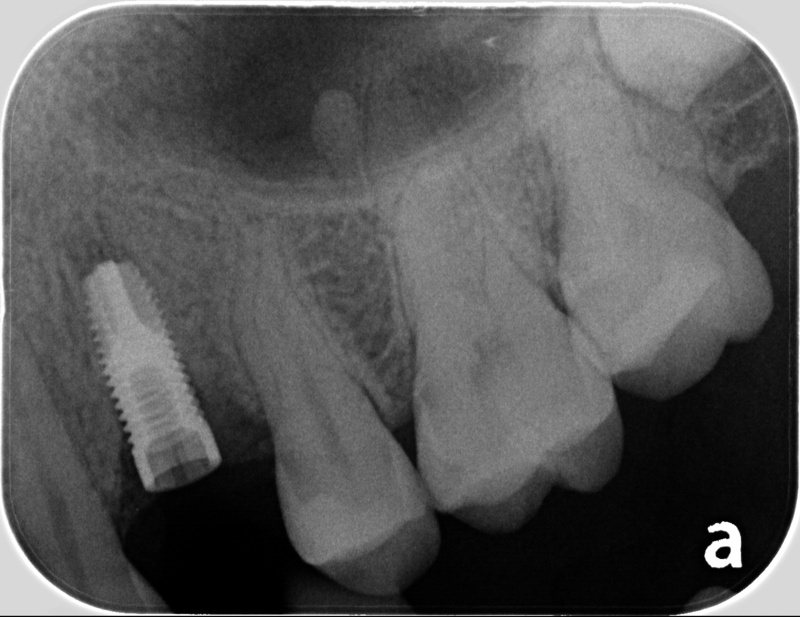 This implant will be ready for a crown in ~3 months time - stay tuned! 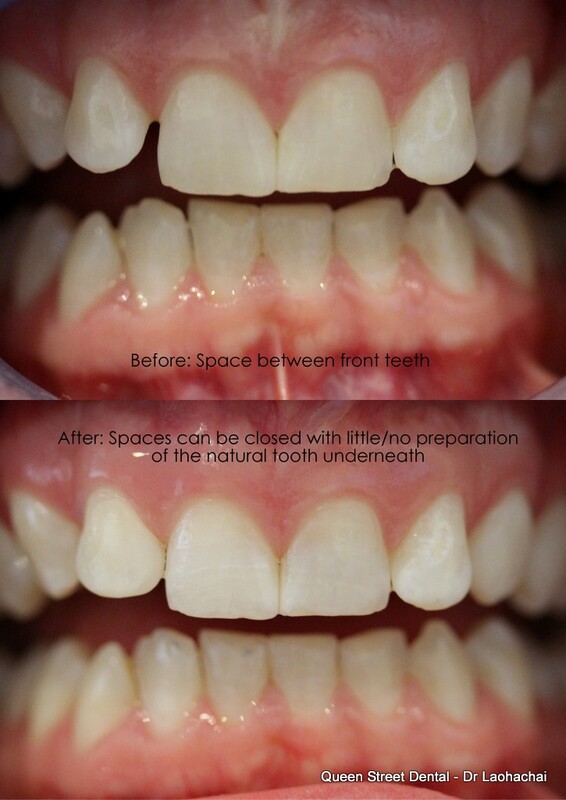 The main concern here was the space between the central and lateral incisor. 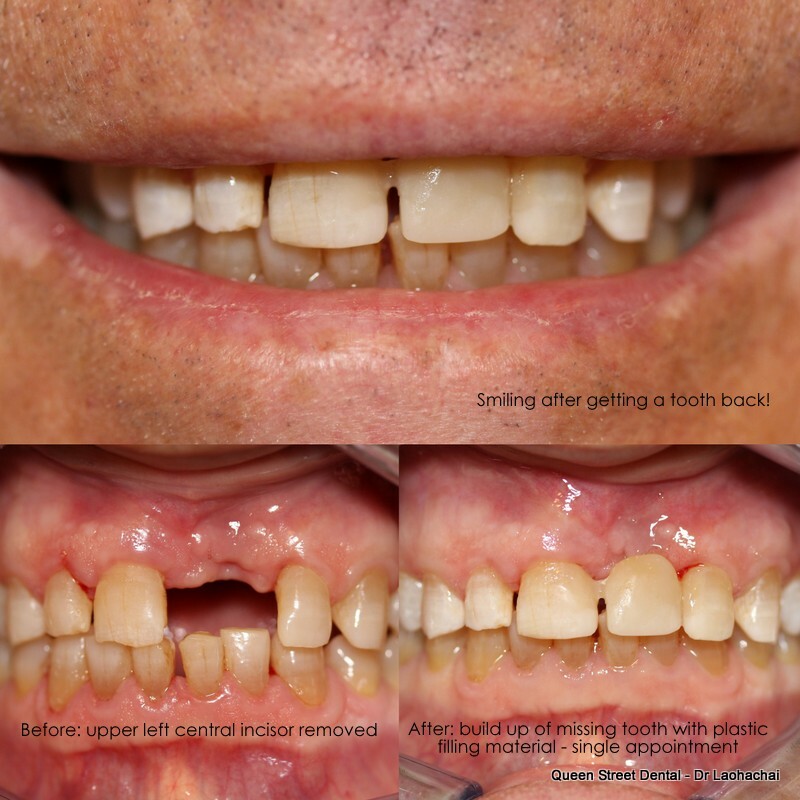 The surface of the tooth was roughened slightly and composite resin (plastic filling material) was bonded to the side and front of the lateral incisor to close the gap. 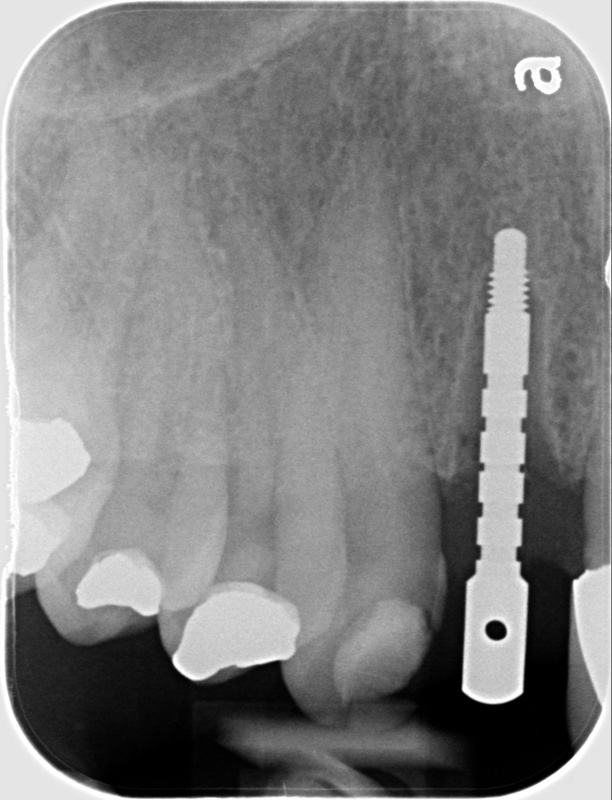 This was done in a single visit.